The PRATS make just a short trip to St Neots this weekend which will be the 2nd of 4 Ouse Booze’s this season. The first was at St Ives a few weeks back in the FAT, we travel to Kings Lynn on Boxing day and then return back to St Ives later in the season to take on the Lilywhites. There will be a full complement of PRATS on this trip; there is always a good choice of pubs in St Neots. We’ll be parking up at the car park near Waitrose. 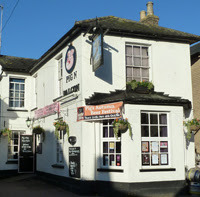 Here we can start an easy walking circuit of five pubs starting with one of the PRATS favourites the Pig 'n' Falcon with 8 ales to choose from plus a load of ciders. Just around the corner from the Pig is a Wetherspoons pub the Weeping Ash usually good for decent priced ales and snaffle. Next port of call will be a sister pub to the pig, the Hog & Partridge with about 4 ales on tap, last time I was swilling them down in this pub it was called the Lord Russell and if I recall it was predominantly Batemans ales on tap. 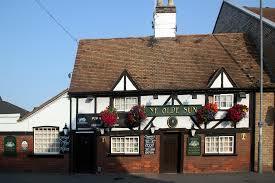 Along and around the corner is The Olde Sun which was the local Hunts Camra branch Mild/Dark ales pub of the year champion in 2014 so well worth a visit. They have 5 ales available here, usually serving Woodforde Wherry which is always a nice pint. The final pub on the circuit is the Coach House with 5 ales. I understand there may be ale at the ground, maybe our favourite Bloody Doombar, never mind. On way home, well who knows, we will be dropping Pharp back home in Rushden so maybe the Historical Transport Museum or the Green Dragon in Higham, you can always get Oakham ales in here, but will be mobbed if there’s any footy on the telly.